Calculating economic damages is pretty clear cut. Lost wages and loss of future earning capacity is a mathematical equation. The figure arrived at is hard to dispute. Non-economic damages are much more subjective and require a completely different approach in order to ensure fair compensation. 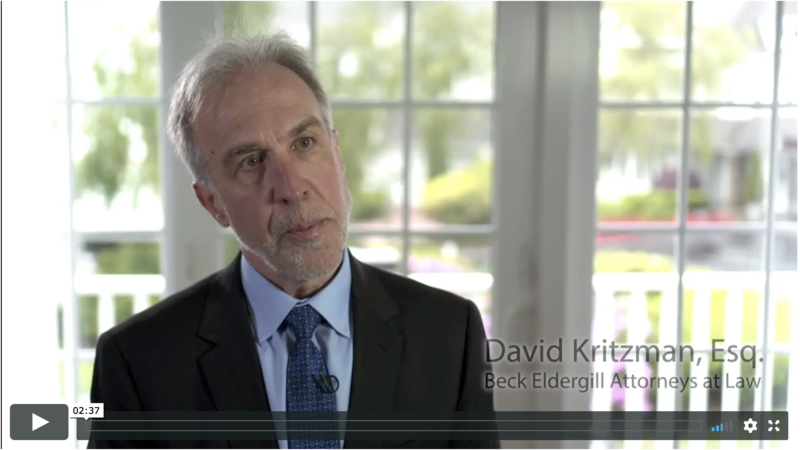 Dave Kritzman of Beck & Eldergill recently shared his experiences in successfully mediating a wrongful death case. The case involved a sixty year old gentleman who was not a high wage earner. Because of this, Kritzman and his team focused on the non-economic damages, which they believed had the greatest potential for recovery. According to Kritzman, because non-economic damages are subjective, their perceived value is much more dependent on the emotional reactions of the mediators rather than rational, analytical calculations, and this is where an experienced attorney can very effectively bring the power of a well produced video documentary into play. He also discussed the importance of projecting confidence in a case, and how he uses video to accomplish this. 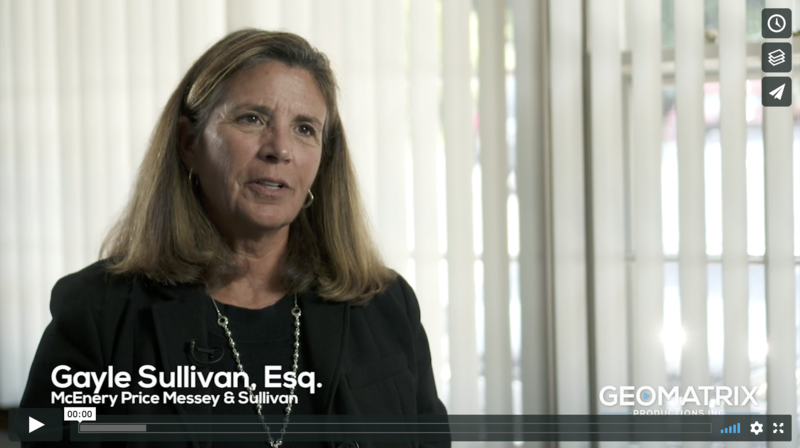 Top attorneys use Geomatrix Productions’ powerful video services to Win More Cases and Win More New Business. Contact us to find out how you can too. 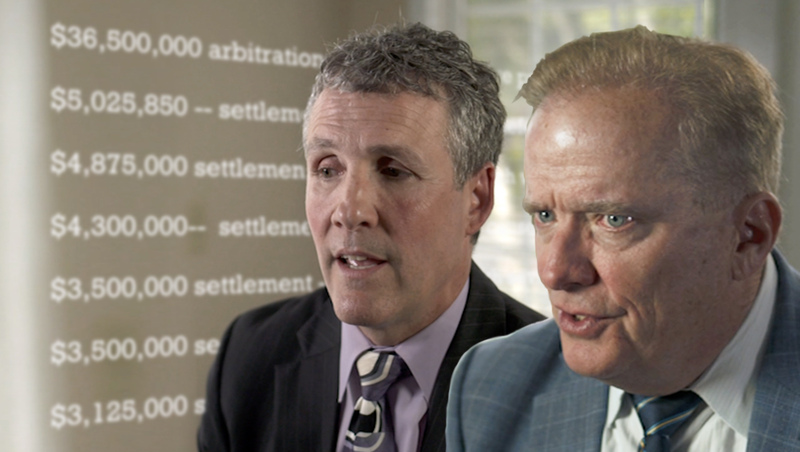 Shipman and Goodwin attorneys, Jim Bergenn and Bill Ronalter use video as a tool to reach a settlement on every significant case. This approach has been extremely effective for the firm. In eight recent cases alone, Bergenn and Ronalter have used video to recover over $60 million for their clients. The smartest investment you can make when handling a personal injury case is in Geomatrix Legal Video Services. Our premier production team will help you get the best outcome for your client. There is no business affiliation between Geomatrix and Shipman & Goodwin. Prior results do not guarantee a similar outcome. The litigation-video “toolbox” has a variety of powerful tools available to lawyers. Top attorneys know what is available and when to use each one for maximum effect. 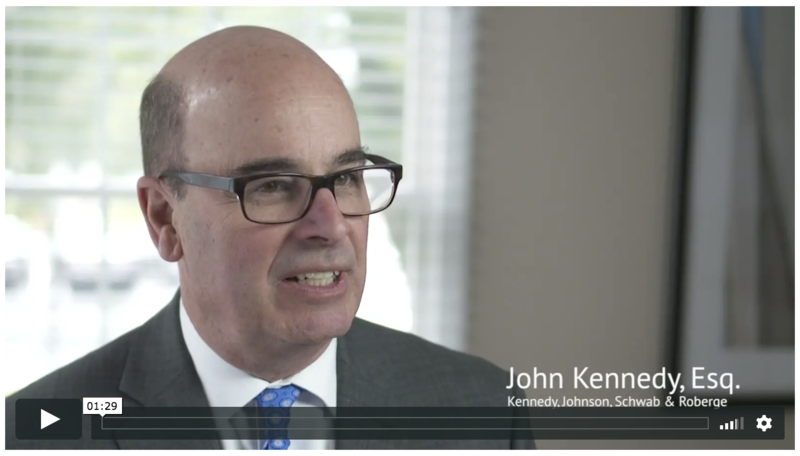 Attorney (and mediator) John Kennedy, of Kennedy, Johnson, Schwab & Roberge recently planned a triangulated video offensive in an attempt to bring about a successful outcome for a client who was injured when she slipped on ice in a parking garage. The ambitious video plan included a three pronged legal-video attack. 2-Use video to convey the lack of credibility displayed by the defendant. Kennedy, “We used video to depose the defendant, and he was not a good witness on video. It wasn’t so much what he said, but the way he acted on video.” In this way the video deposition did what the written transcript never could have accomplished. 3-Use video to maximize the damages value of the case. 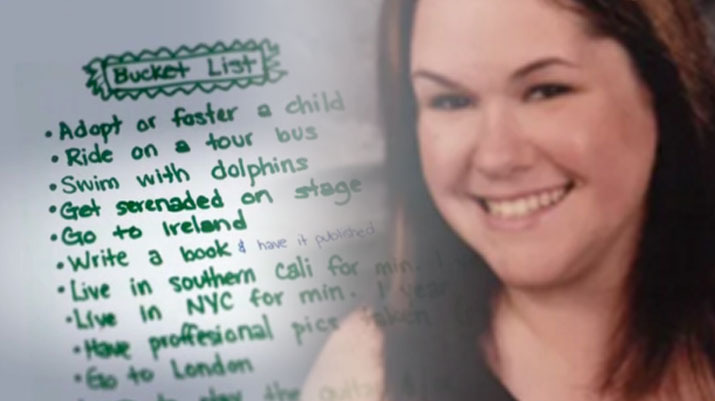 According to Kennedy, “We did a day-in-the-life film which demonstrated the significant injuries and disabilities that our client had.” This powerful legal documentary illustrated the plaintiff’s challenges with compelling scenes from her daily routine. 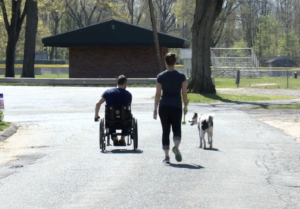 In a lawsuit on behalf of an Iraq War veteran who was paralyzed in a swimming accident, a video produced by Geomatrix Productions helped the plaintiffs win an unparalleled jury award for a personal injury premises liability case in Rhode Island. On the weekend of July 25, 2014, Connecticut residents Brett and Stacie Smith were attending a wedding at a conference center owned by the University of Rhode Island. After the rehearsal dinner, a group from the wedding party asked the staff if it would be okay to go swimming in a nearby pond. They were told they were allowed to swim, (despite the facility’s position at trial that swimming was prohibited) leaving the guests unaware that submerged rocks in the pond made swimming dangerous. Additionally, there was no signage placed at the pond to prohibit swimming or warn of the rocks. The Smiths’ attorney, Patrick C. Barry of Decof, Decof & Barry, P.C. in Providence said management was aware of the danger that lurked underneath the water. Some of the guests swam and dived off a large rock in the middle of the pond with no incident, until Brett dived and struck his head on a submerged rock. 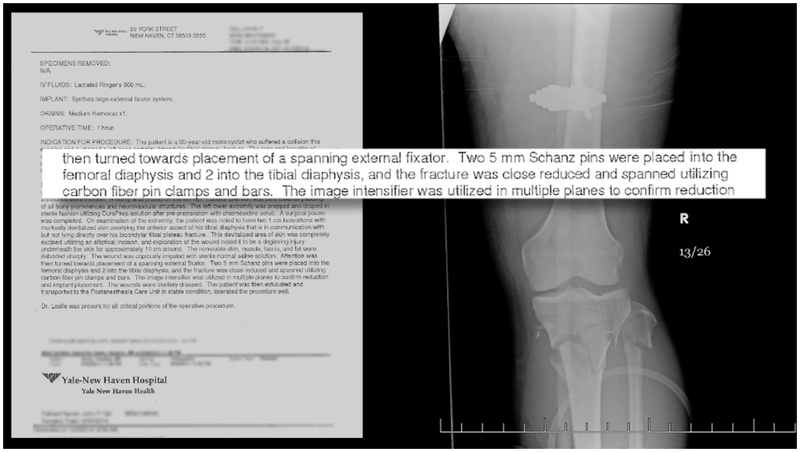 The accident resulted in life-altering injuries. 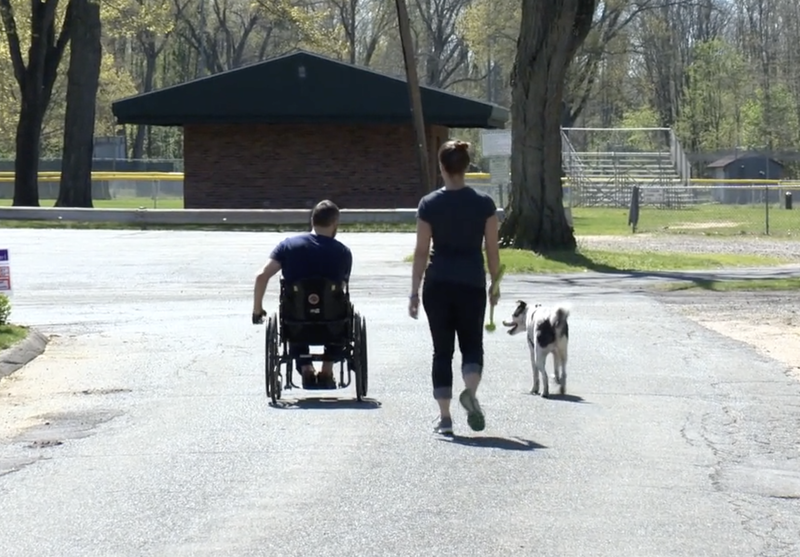 Today, the former marine, accomplished athlete and adventurer is paralyzed from the chest down with limited use of his hands. Stacie, his wife and caregiver, assists the 34-year-old with his daily functions. On a recommendation from co-counsel Christopher Houlihan of Riscassi & Davis P.C. in Hartford, Attorney Barry hired Geomatrix Productions to produce a compelling video that illustrated the day to day struggles the young couple face. After deliberation, the Superior Court jury reached its verdict and found URI negligent for failing to truly prohibit swimming and keep guests out of the pond. The jury awarded Brett and Stacie a total of $32 million dollars for past, present and future pain and suffering, future medical care, home renovation and equipment expenses, including statutory pre-judgment interest. Whatever the challenge, whatever the strategy and whatever the timeline, you can count on the resolute and experienced team at Geomatrix Productions to deliver a product that will get you the results your clients deserve. How does an attorney convey the soul of a decedent to those responsible for deciding damages? The best possible way is to hear it directly from the loved ones of that person – the ones who can speak from the heart about a father, a son, a brother and a friend. That’s exactly what a 50-year-old Hartford man’s family did on camera after he died following a collision with a police cruiser in Hartford in 2012. 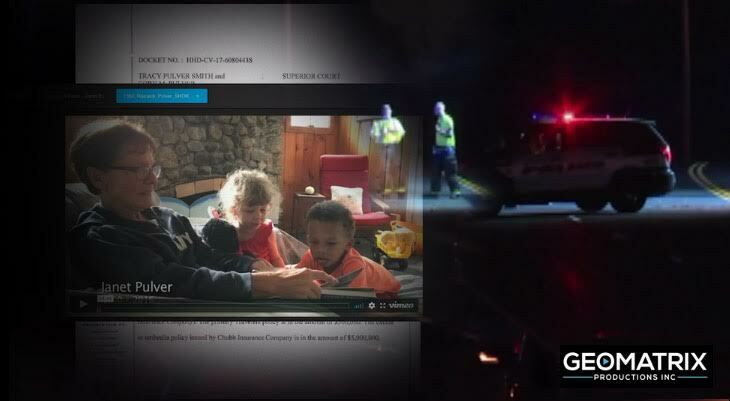 The video was produced by Geomatrix Productions for Attorney Keith Trantolo of Trantolo & Trantolo, LLC in Hartford, the attorney for the man’s family in their civil lawsuit against the city of Hartford. The victim was driving his car in the early morning hours of July 13 when he was hit while crossing an intersection by a Hartford police officer racing to join fellow officers in a pursuit. The officer was traveling nearly 60 mph in a 30 mph zone and ran a red light. The impact sent the victim’s car careening into a building and left him unconscious with multiple injuries, fighting for his life. 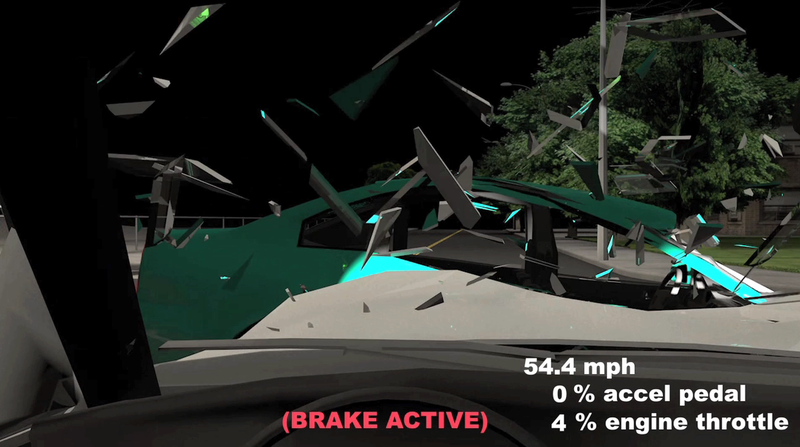 The video illustrates the accident second by second using 3D animation. The man’s friends, two daughters, sister, mother and father retell the events of the night that would change all of their lives forever. Accompanied by heartbreaking photos of him in his hospital bed, they led the viewer through the hours and days that followed, ending with July 20, the day of his death. In words and with emotion, these loved ones weaved a story that told of the type of person the victim was – a devoted and caring son, father and grandfather who even as a child tried to help anyone he could; a fun loving, cheerful man who was mechanically adept; a dad, who supported his two daughters and wanted them to succeed; a devoted friend who overcame life’s struggles. The losses conveyed by his family were painful and raw. They spoke of a man who missed seeing his daughters graduate from college and who would miss walking a daughter down the aisle, and a man who would never see his grandchildren grow up. They spoke of the personal losses they felt –the absence of hearing his voice, seeing him smile and experiencing his laugh, his love and his fierce desire to live. As it was about to go to trial, the case settled in favor of the victim’s estate for 2.9 million dollars. When working on your next wrongful death or injury case, trust Geomatrix Legal Video Services to produce a settlement video that will get you the best possible results for your clients.